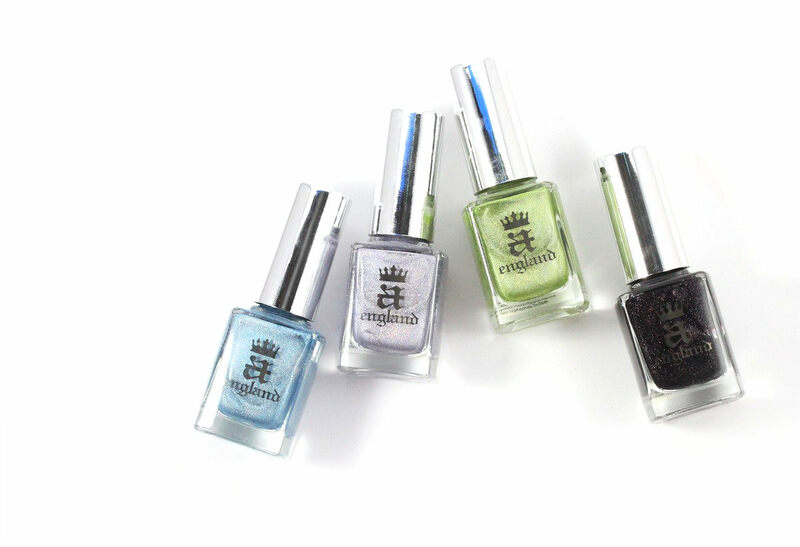 Today I have swatches of A England's latest collection: Sargent's Vision and let me tell you, they are some gems in there! 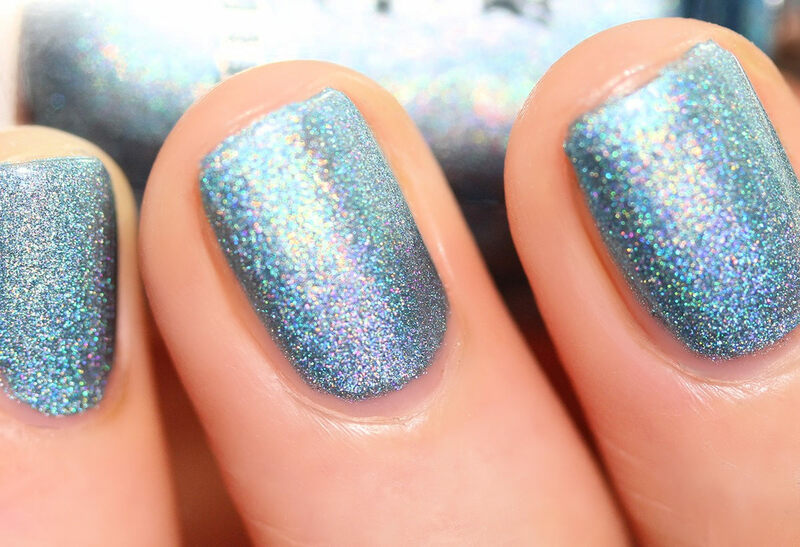 This collection includes 4 holographic polishes, 3 of them with a scattered holo and a darker one with a more subtle effect. Carnation Lily Lily Rose is a silver with lilac undertones (at least to my eyes) and a scattered effect. I also enjoyed wearing this one and although it's not the most original color, I find it super flattering and easy to wear for any occasion if you want something a bit special and original but not too crazy. So yes, I ended up liking it much more than what I initially thought. 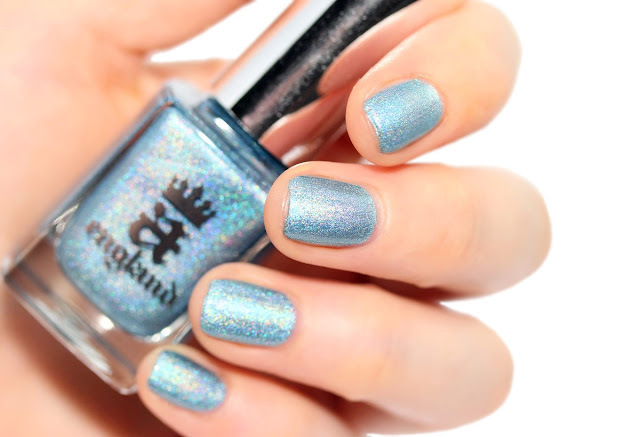 Symphony In Blue And Silver is a powder blue holo enhanced by flashes of green and silver light. I really like this baby blue base, it's super cute and looks awesome with a pair of jeans! 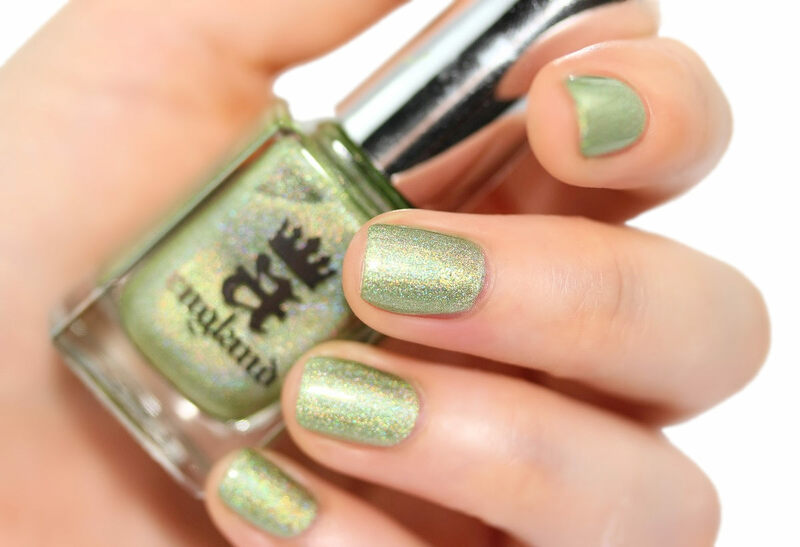 Symphony In Green And Gold is a honeydew green with hints of gold reflections. This one is super original and the first one that caught my eyes when I saw this collection. I love that green color, it's a fun color but at the same time it stays easy to wear and I'm sure it looks awesome whatever your skin type. I also think that it has some majesty and grace in it, hasn't it? So yes, I'm very impressed with this one and love it! A must-have in my opinion. Finally I played with the 4 colors to create this nail art :D it's not perfect but I had fun doing it! 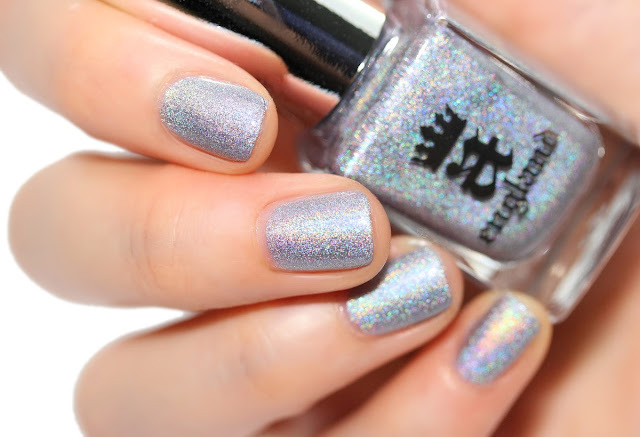 Overall, gorgeous collection with beautiful colors and finishes and an impeccable formula! I must say I was really surprised by Symphony In Green And Gold - I love the color and find it totally unique - and also really like Nocturne, it's deep, elegant and gorgeous! ...and I'm pretty sure that I will wear the 2 other lighter shades again because they fit any occasion, they're more discreet but still have something special and original about them, they have A England's signature elegance. 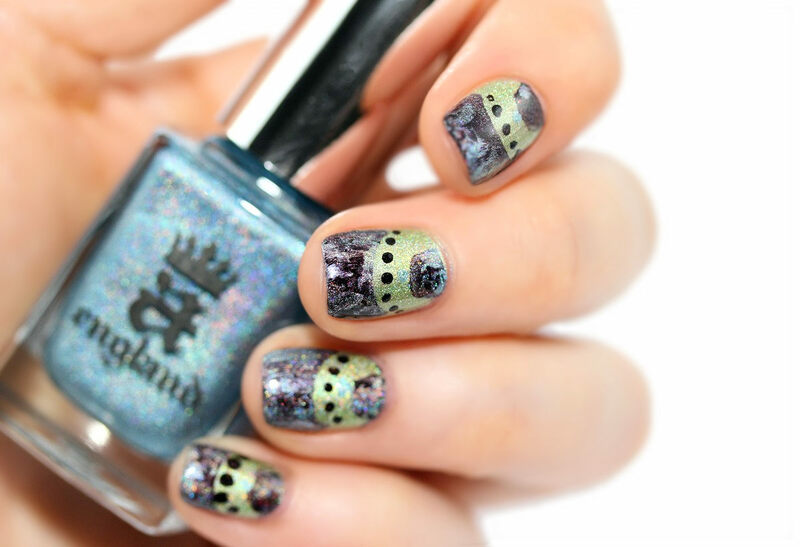 Hello ;) Thank you so much, that's so sweet of you ;) Good choice, Nocture is definitely one of the most elegant polishes I own! Totally agree with you, the green is so unusual but gorgeous! thanks! love all colours and definitely you're an artist. aww thanks a lot, my lovely friend!